Ahmed Khwaja received the B.Sc. degree in electronic engineering from the Ghulam Ishaq Khan Institute of Engineering Sciences and Technology, Pakistan, and the Ph.D. and M.Sc. degrees in signal processing and telecommunications from the University of Rennes 1, France. He is currently a Senior Research Associate with the WINCORE Lab. His research interests include machine learning, compressed sensing, remote sensing, and optimization problems in wireless communication systems and smart grid. Lilatul Ferdouse received the B.Sc. and M.S. degrees in computer science and engineering from the University of Dhaka, Dhaka, Bangladesh. 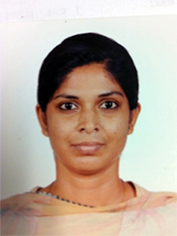 She is currently pursuing the PhD degree in electrical and computer engineering with Ryerson University, Canada. She is also an Assistant Professor (on leave) with Stamford University Bangladesh, Dhaka. 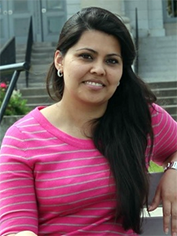 Her current research interests include relay assisted cooperative network, congestion, and overload control techniques in machine-to-machine networks. Ali Alnoman is a PhD student in the WINCORE Lab, Dept. of Electrical and Computer Engineering at Ryerson University. He graduated from the Department of Electrical Engineering – University of Baghdad, Iraq in 2009 and received his M.Sc. degree in Electronics and Communications in 2012 from the same university. 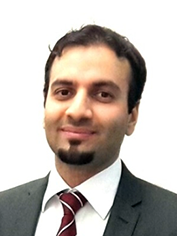 During the period 2012-2015, he worked as a full-time lecturer at Ishik University, Erbil, Iraq. His research interests include wireless communications and signal processing. Mehak Bashrat received her BS in Telecom Engineering from National University of Computer and Emerging Sciences, Islamabad, Pakistan. Currently she is MASc candidate at WINCORE lab, Department of Electrical and Computer Engineering, Ryerson University, Toronto, Canada. Her current research interests includes the following: 5G networks, cognitive radio networks, and RF energy harvesting. 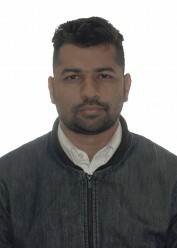 Abhishek Gupta received his BE (Electronics and Telecommunication) degree from Pune University, India in 2011 and his MS (Computational Intelligence) from De Montfort University, Leicester, United Kingdom in 2013, respectively. He is currently a MASc candidate at WINCORE Labs in the Dept. of Electrical and Computer Engineering, Ryerson University, Toronto, Canada under the supervision of Prof. Alagan Anpalagan. His research and scientific interests are related to wireless communication, cloud computing, network security, bio-inspired cyber security, security in social media and vehicular technology. He holds CompTIA A+, Network+ and Cloud+ certifications and is a recipient of Cisco cyber security scholarship awarded in Sep 2017 which is geared towards earning CCNA Cyber Ops certification. His current research work is pivoted on DDoS attack detection in emerging 5G cloud networks through radio resource monitoring. Minsu Kim is a MASc candidate in the WINCORE Lab, Computer Networks Program at Ryerson University. 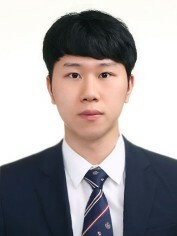 He received his Bachelor’s degree in Computer Engineering from Yonsei University, South Korea. His research interests include Future Internet, machine learning, cloud computing, and SDN.